The office staff is very friendly and professional. The doctor took the time to get a thorough history and examination andexplained all the findings in detail. He took the time to answer all of my questions. The office staff is very friendly and professional. The doctor took the time to get a thorough history and examination and explained all the findings in detail. He took the timeto answer all of my questions. Convenient, Proven, Long-Lasting Chronic Sinusitis Treatment. Our minimally-invasive OPEN Procedure is available in-office. Local anesthesia, no cutting, fast relief, quick recovery. When it’s time to select an ear, nose and throat surgeon, your instincts tell you to go with a highly-trained and credentialed professional. You want someone who offers state-of-the-art care. Someone like Dr. Franklyn R. Gergits. 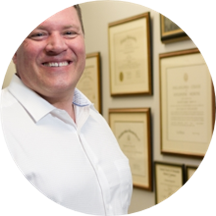 Dr. Gergits is board-certified in otolaryngology, head and neck surgery, and facial plastics. He is also fellowship-trained in otolaryngic allergy. Equally important is that at the Sinus & Allergy Wellness Center of North Scottsdale, compassionate care is one of the cornerstones of our practice. It’s the exceptional level of ear, nose and throat care you need, along with the compassion you deserve. Dr. Gergits is certified in Facial Plastic Surgery and Otolaryngic Allergy by the American Osteopathic Board of Otolaryngology. Very thorough and everything was explained to me clearly. Dr Gergits is great, friendly, personable and I would highly recommend him. Superb and thorough professional. Clear in his explanations and thoughtful in his deliberations. Had an ongoing dry cough for a couple weeks and decided to upgrade from my family physician to a specialist. Dr. Gergits was not only one of the kindest doctors I’ve met and has the best bedside manner I’ve encountered byany doctor I’ve visited here in Phoenix. He explained my symptoms and options without ever sounding condescending. Highly recommend. Dr Gergits and his staff were amazing. They have great people skills and technology. Had a ct scan done in office and could see even behind my eyes.. after 2 hours I am just now leaving and I don’t think heleft a stone unturned. Had a culture done and will be back in 2 weeks to find out what path we need to take to make me better. I’m leaving feeling very happy and confident he did his job so far at ? ?% I haven’t met a dr like him in quite some time I would recommend him to everyone. Really great experience. The staff was really helpful also. They answered several of my questions about insurance over the phone. I am glad I went the doc. did an ear cleaning treatment that helped. Very informative and thorough. Planned out several steps ahead for my condition. Dr. Gergits listens, takes his time. You don't feel rushed. He explains everything. Outstanding! One of the best doctor visits I think I have ever had. I arrived almost an hour early (coming from the east valley and got done with other errands sooner than planned). I didn’t even get to sit in thewaiting room. I went right back, had a very thorough assessment by both the medical assistant and Nurse Practitioner. Dr. Gergits spent a lot of time with me going everything possible. He is extremely knowledgeable. He was not rushed at all. He does not try to push unnecessary tests or procedures either, only if he feels it would be truly medically necessary. I appreciate that in a doctor with today’s outrageous healthcare costs. I highly recommend him. The entire staff was wonderful and a pleasure to be around. Thank you for such a great visit and assessing me and taking the time to go over everything. Five stars all the way!! Very informative. Not rushed at all. He took as much time as needed to fully understand the issue and come up with a plan. I was really impressed with my first visit to this office. The entire front desk/nursing staff was super sweet and efficient. My appointment started right on time which seems to no longer be the norm in the medical field. I cannot say enough great things about the doctor. He was very informative, listened attentively and I never once felt like he was rushing me. I would highly recommend this office to anyone! Dr. Gergits and his staff really took the time to listen, and to ask a lot of questions. Dr. Gergits clearly explained my treatment options. I really felt listened to, and that I will be in good hands. Normally going to the Doctor is not too much fun but this time was different. Pleasant staff and seen quickly. The diagnosis and recommended procedure was explained fully and sounds like it will really help with my chronic sinusitis. Very professional and responsive! Very nice and pleasant visit. The girls at the counter were very nice. Dr. Gergits spent good time to explain me how to resolve my hearing problem by simple process, if not, then with minor surgery. Check-in was rather smooth, through questions about medical histories were asked by a nurse and a nurse practitioner plus they have in-house CT scan which cut Dr.'s time very short and helped get right to diagnostics with looking at the CTscan image. Dr. Franklyn Gergits was very informative and covered every little details in depth that I felt like there's nothing I didn't know about my sinus by he was done and didn't have to ask too many questions other than to find out when he can schedule and operation which he was willing to work with my schedule. I am so glad I found him! I went and saw Dr. Gergits to get a second opinion after a poor experience at another doctor's office. He and his staff were all amazing! They took the time to really get to understand my issue(s) and we're clearly lookingout for my best interest both in regards to my health and financially. I would recommend Dr. Gergits to anyone! Dr. Gergits was so amazing, thorough and personable! His staff was friendly and the office is impeccable. It was an overwhelmingly positive experience and I could not recommend him more highly! Dr. Gergits was a complete recommend! If we could give him 6 stars, we would. He was attentive, patiently answered our questions...and we had a LOT! We went to Dr. Gergits for a 2nd opinion and liked him so much, weare changing from our regular ENT in Gilbert (where we live) and happily driving to his office in the future. His staff was great too. Such a refreshing experience. I Absolutely LOVED this office and doctor. They were all so nice, very efficient, and incredibly understanding and listened to all of my concerns and questions. I felt like I was being taken care of and I am 100% confident ineverything they do. I will always recommend this doctor. Really loved everything about my experience here. taught me the most important part of taking care of your sinus infection. Great staff and excellent doctor. Very friendly and punctual. Very thorough exam and explanation of all procedures and follow-ups. Very helpful visit. Dr. Was very kind, knowledgable and answered any and all questions. The care is excellent! However, the wait before seeing Dr. Gergits in the waiting room and in the back is unbelievable..especially with a 2 year old.